The Scandal That Rocked A Nation. 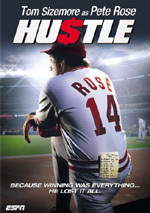 John Cusack and Charlie Sheen lead a "superb ensemble of actors" (Newsweek) delivering "striking performances" (The New York Times) in this "mesmerizing story" (Los Angeles Times) about the infamous 1919 Chicago White Sox scandal - certainly one of the saddest chapters in the annals of professional sports. Buck Weaver (Cusack) and Hap Felsch (Sheen) are young idealistic players on the Chicago White Sox, a pennant-winning team owned by Charles Comiskey - a penny-pinching, hands-on manager who underpays his players and treats them with disdain. And when gamblers and hustlers discover that Comiskey's demoralized players are ripe for a money-making scheme, one by one the team members agree to throw the World Series. But when the White Sox are defeated, a couple of sports writers smell a fix and a national scandal explodes, ripping the cover off America's favorite pastime. $1.129 million on 147 screens. In 1988’s Eight Men Out, we find baseball’s biggest scandal transformed into the sport’s greatest tragedy. Perhaps the latter statement is a little extreme, as I’m sure we could find some events that are ultimately more depressing than those depicted in the movie, but one can’t help but leave Eight Men Out with a sense of sadness. Out tells the story of the 1919 Chicago White Sox. Acknowledged as baseball’s best team at the time, they went into that year’s World Series as the overwhelming favorites against the Cincinnati Reds. However, all was not well with the club, mainly due to the famed cheapness of owner Charles Comiskey (Clifton James). Although known by the nickname “Commie”, Comiskey clearly did not want to share his wealth, and his players suffered accordingly. As such, the athletes were prime for the picking by some less-than-scrupulous elements. Gamblers approached some of the more “open-minded” players and asked if they’d throw some of the World Series games for a big payday. From there, events snowballed to the point where the players ended up without much monetary gain but were still trapped by the gamblers; as we hear at one point, these aren’t the kind of people who will simply allow you to change your mind. Ultimately, the Sox intentionally lose the entire Series, and their livelihoods go away to boot. Although a kangaroo court trial found them not guilty of any misdoing, baseball needed something to purify the game if it could continue to prosper. The team owners brought in Judge Kenesaw Mountain Landis (dead-ringer John Anderson) as baseball’s first commissioner, and he saw fit to expel all eight accused players from the game for life. That banning started what remains baseball’s death penalty. As Pete Rose can certainly tell you, any player or coach found to bet on baseball games would be permanently expelled from the game. Whether or not this punishment remains relevant and appropriate almost 90 years after its institution is a matter of argument, but Landis obviously felt it was necessary to restore some form of luster to the badly tarnished sport. I don’t really know how much effect the banning of the “Black Sox” players had on baseball’s future fortunes; in any event, the ascendancy of Babe Ruth certainly made sure the game prospered over the next decade, and a series of additional heroes kept it well-ensconced in the public eye. As for the players themselves, they soon faded from view and were remembered with ill-will when they were considered at all. Eight Men Out attempts to revise that legacy to a degree. It seems clear that the players were made out to be the villains in the story, and the movie doesn’t attempt to eradicate any notions of their culpability. 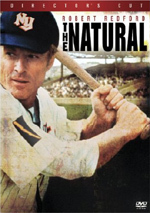 Many of the men come off quite badly in the film; ringleaders shortstop Swede Risberg (Don Harvey) and first baseman Chick Gandil (Michael Rooker) appear as little more than greedy bullies out to collect an easy payday. Some of the figures on the side of “right” don’t look so hot either; Comiskey certainly looks like a petty, cheap little man, and Landis seems self-righteous and narrow-minded during his brief appearances. As for the remaining “Black Sox”, they get varying degrees of sympathy. Some of them come across as minor characters and seem to simply be along for the ride; into that category fall center fielder Hap Felsch (Charlie Sheen) and bench warmer Fred McMullin (Perry Lang). Pitcher Claude “Lefty” Williams (James Read) also fits here, though he’s shown as more independent than the other two. The remaining three cases were somewhat more complicated. Pitcher Eddie Cicotte (David Strathairn) was the lynch pin for the deal; his complicity got some of the others like Williams to drop their objections and go along with the program. Cicotte certainly didn’t seem eager to throw any games, but the combination of Comiskey’s cheapness and his dubious future in the game - Eddie was getting on in years and his arm had started to falter - made him feel as though he needed this cash bonanza to supply for his family’s future. Cicotte seemed to be the most influential participant, but he was also the most pained of the bunch. Star left fielder “Shoeless” Joe Jackson (D.B. Sweeney) comes across as a dupe. Not the brightest of men, the illiterate Jackson really didn’t seem to know any better, and he went along because he simply couldn’t think of arguments against his slick teammates. However, though Jackson did appear to accept money, he continued to perform at a stellar rate and had a terrific Series, something his supporters continue to cite in his favor. As for the final man, third baseman Buck Weaver (John Cusack) never agreed to throw any games, and he never accepted any money. A fiercely competitive man, Weaver’s pride never would have allowed him to give less than his best at such an important time. So why was Weaver tossed out with the other seven? Because he knew about the conspiracy but failed to notify anyone in power, Landis apparently thought that Weaver’s silence made him just as guilty as the others. Eight Men Out balances the tales of an enormous variety of characters. In addition to the eight “Black Sox”, we encounter the remaining White Sox, manager Kid Gleason (John Mahoney), Comiskey, Landis, sportswriters Ring Lardner (played by director John Sayles) and Hugh Fullerton (Studs Terkel), a few wives, and some prominent gamblers. Most significant in the latter group are bigshot Arnold Rothstein (Michael Lerner), and lesser lights Bill Burns (Christopher Lloyd), Abe Atell (Michael Mantell), Billy Maharg (Richard Edson), and Sport Sullivan (Kevin Tighe). That’s a huge roster of participants, but the movie fits all of them in well; the script tightly and concisely ties them together and provides us with enough information to make us think we’ve seen more of each than we have. Despite the large list of characters, the focus remains mainly on the three most tragic of the “Black Sox”: Cicotte, Weaver and Jackson. (Don’t let the DVD’s prominent mentions and pictures of Charlie Sheen fool you; Felsch is a minor character in this tale.) Though Cicotte was clearly in the wrong, Strathairn’s tortured performance as the pitcher makes him a sympathetic personality; he seems so innocent and honestly mislead that you can’t help but hope for the best, even though you know it’s not going to come. Sweeney provides an honest portrayal of Jackson. He creates a character who seems simple, honest and basic but not stupid, and it’s Jackson’s trust in others that leads him astray. However, the film doesn’t give Jackson a total out, as we can definitely see that he knew he was doing the wrong thing; he went along for bad reasons, but he still did so, and his complicity remains. Did he deserve the punishment he received? Probably not - the illiterate Jackson went along with a lot of slick folks who pretended to look out for him. Nonetheless, the movie shows that he wasn’t completely innocent. Weaver’s case is the most complicated of the bunch. In the film, he maintains that he didn’t “rat out” the others because he hoped they’d see the errors of their ways and straighten up in time to salvage the Series. Of course, this didn’t happen, but one can see why Weaver’d feel that way, especially via Cusack’s spirited and rich performance as the player. Cusack has always been a likeable actor, but he’s at his best during his multifaceted work here. He makes Weaver the enthusiastic, baseball-loving kid who never grew up but also adds maturity and anger to the part; it’s heartbreaking to watch as the pain and bitterness pound on Weaver as the events unfold. Out works as well as it does largely due to the excellent cast. This ensemble group is about as good as it gets; if a weak link exists, I haven’t been able to find it through multiple viewings of the film. Although all of the actors are terrific, I think that Lerner deserves special mention from the supporting cast; he offers a frighteningly cynical and cold but intelligent performance as the hotshot gambler Rothstein. A similar intelligence pervades Out. Although it can be guilty of minor emotional indulgences - the fiction of the “say it ain’t so, Joe” myth pops up here - Sayles tells the story in a tight, economical manner. This ensures that we feel the dramatic effect of the events but we aren’t suckered in with false pathos. You’ll likely be hit by the melancholy of the film, but the movie doesn’t wallow in this. That’s another reason Eight Men Out works so well. It presents it sadness in an honest manner and intersperses these moments with sunnier shots. Actually, it takes joy and transforms it into the bittersweet, such as during the closing credits’ snippets of the Sox at their relaxed best. The reflection of their skills makes their downfall all the more tragic and adds an additional appropriate note of wistfulness. More manipulative flicks like Field of Dreams have their place; that’s a fine film in its own right but it tries much harder to actively pull the heartstrings. Eight Men Out takes a more intellectual and even-handed approach, and that’s what ultimately makes it such a rich and enjoyable film. It’s a well-written and superbly acted affair that juggles a variety of elements and neatly packages them together into one very coherent package. Sports movies don’t come any better than this. 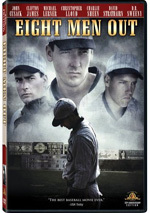 Eight Men Out appears in an aspect ratio of approximately 1.85:1 on this single-sided, double-layered DVD; the image has been enhanced for 16X9 televisions. Across the board, the movie boasted a very satisfying transfer. Very few issues marred sharpness. I occasionally noticed a smidgen of softness, but not with any regularity. Instead, I thought the majority of the flick was concise and well-defined. No problems with jagged edges or shimmering occurred, and edge enhancement was minimal at worst. Source flaws also stayed minor. I detected a handful of small specks through the film and that was it. The presentation usually remained quite clean. Out featured a somewhat sepia-influenced palette, which meant that colors remained quite subdued throughout the film. While the movie wasn’t “glorified black and white”, the tones stayed appropriately quiet. However, the hues did seem adequately full, and I found reds and blues to look especially nice. My only color-related complaint connected to complexions, as they could be a bit too ruddy. Black levels were deep and dark but could appear a little flat, and shadow detail seemed smooth and distinctive. Overall, I felt very pleased with this consistently strong image. I thought it had a few too many small issues to reach “A” level, though I considered that higher grade; the flick really looked good. 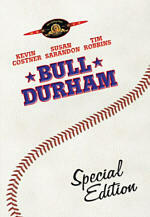 In addition to the film’s original monaural audio, this DVD of Eight Men Out came with a new Dolby Digital 5.1 remix. Don’t get too excited, though, as the multichannel track didn’t do much to open up the source material. Music remained “broad mono”; it spread to the sides in a minor manner but never demonstrated true stereo presence. Effects fared a little better, as they offered a bit of life. Some elements like trains moved across the front, and the surrounds added general ambience in places like bars, court and stations. These aspects of the mix remained modest, though. The focus stayed on the front, and especially in the center. The new track broadened horizons a smidgen but not substantially. Audio quality was perfectly fine. Dialogue was fairly natural and concise; a few lines seemed a little brittle, but not badly so. Effects were clear and reasonably accurate, and music showed decent range. There wasn’t a lot of low-end response to be heard, but the score sounded fine. In the end, the track worked fine for the material but not any better than that. How did the picture and audio of this “20th Anniversary Edition” compare to those of the DVD release from 2001? I thought the audio was a slight improvement since it opened up from the original monaural, but both were pretty comparable. On the other hand, picture quality showed notable growth. The 2008 transfer looked cleaner, clearer and much sharper. It was a substantial step up in quality. While the old disc included nothing more than a trailer, the AE tosses in a few components. First comes an audio commentary from director John Sayles. He offers a running, screen-specific chat that looks at his experience with the source book and its adaptation, cast, characters and performances, facts behind the tale and notes about the real-life participants, locations and period details, story and themes, visual design, and a few other production elements. Sayles provides a good mix of factual background and filmmaking experiences. Notes about the real-life elements on which the film was based dominate, but not to a tremendous degree; Sayles still makes sure we learn a lot about how the movie was made. He creates a consistently informative and enjoyable commentary. Inevitably, “Retrospective” repeats a fair amount of material from Sayles’ commentary. It adds some new perspectives, though not as many as I’d like; with such a big cast, it’s too bad we couldn’t get more actors, and the absence of any crewmembers disappoints. Despite these drawbacks, “Retrospective” still offers a good glimpse of the production. We find a mix of good stories and comments that help illuminate us about the film’s creation. For the 36-minute and 10-second The Story Behind the Movie, we hear from Sayles, author Eliot Asinof, Burying the Black Sox author Gene Carney, and National Baseball Hall of Fame Library Associate Gabriel Schechter. We learn how Asinof came to write Eight Men Out as aspects of his research. From there we go through additional attempts to sort out the whole scandal as well as elements of the sordid Black Sox affair. “Story” gives us a fine examination of the apparent facts related to the scandal. It lets us see how the movie’s material connects to the facts and runs through the subject matter well. Finally, DB, The Bat and the 2005 World Series runs two minutes, 33 seconds. Sweeney tells us about a bat that he used during the movie and how it became a good luck charm for the champion 2005 White Sox. This is a fun little story. In an odd and disappointing move, this AE drops the sole supplement from the prior disc: the film’s trailer. I’m happy with the components added to this set, but it seems weird that it loses the trailer. Perhaps the best baseball film ever made, Eight Men Out tells a bittersweet tale of talented players who blow it all and pay the price, and it does so in a straightforward but moving manner. The DVD features excellent picture, acceptable audio and some informative extras. This is a terrific set that I heartily recommend, and that goes for fans who own the old release as well; it offers a big improvement when compared to that disc.